Great Ocean Road Reverse Itinerary - Go straight to the 12 Apostles for ONLY $89! ​Do you want to travel straight to the 12 Apostles and arrive there before the large crowds? ​Are you the kind of person that enjoys losing your breath sometimes? Are you ready for the beauty of this storm carved coastline? 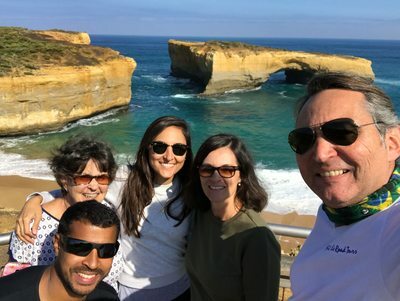 ​If you said yes, you're ready to join us on this awesome Great Ocean Road Reverse Itinerary tour! To avoid large crowds, we have created a reverse itinerary that follows a strategic path. ​The schedule is optimized for the best times and places so you can take as much time as you want. ​You'll have the opportunity to get very close to the amazing Australian animals including the cute koala, the lovely wallabies, the athletic dingo and an incredible diversity of birds. On the way there will be great photo shoots opportunities at the Brighton Bathing Boxes, the colored wooden huts. You'll also visit the Seal Rocks and the Nobbies boardwalk with its amazing views before heading to the great attraction of the day: the Penguins Parade. 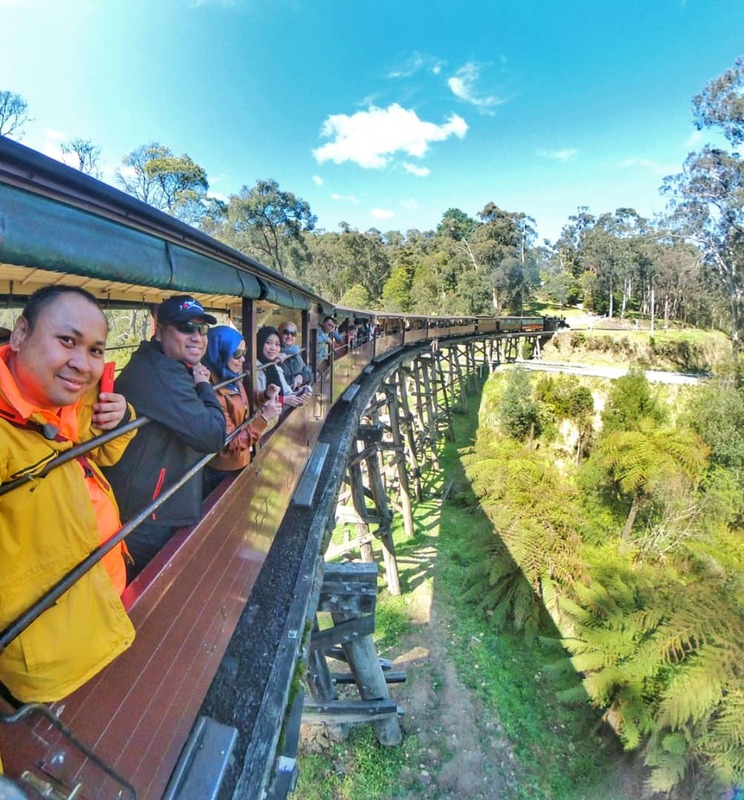 The most affordable way to enjoy these popular and amazing Melbourne Day Tours: book your Great Ocean Road and your Phillip Island tour with us for only $179 for adults and $155 for children. To use this promotion, simply apply the Promo Code BUNDLEANDSAVE. 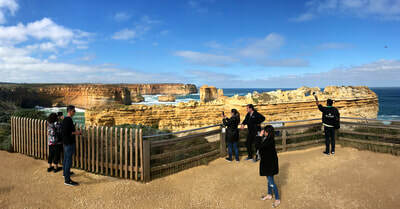 GREAT OCEAN ROAD PRIVATE TOUR - The Great Ocean Road Tour is one of the most scenic drives in Australia. The Great Ocean Road itself is listed by the Australian National Heritage, and is rich with amazing sights, landmarks, and history – including the famous Twelve Apostles limestone formations. YARRA VALLEY WINERIES - Join us on an amazing journey through the distinctive flavours, colours and smells of the Yarra Valley. You'll please yourself with wine tasting in four different wineries, enjoy a picnic lunch at a winery's garden, sweeten your mouth at the chocolaterie and last but not least have the opportunity to taste cider and beer. PUFFING BILLY RIDE, DANDENONG RANGES and HEALESVILLE SANCTUARY - ride the historic steam train through eucalyptus forests, feed the cockatoos at the Dandenong Ranges, see the koalas, kangaroos, dingoes, and the exotic platypus at Healesville Sanctuary. During Spring season, add Tesselaar Tulips Festival, the largest festival of tulips in Australia. BALLARAT CHERRY PICKING, SOVEREIGN HILL and WILDLIFE PARK - During the season (October to January) enjoy cherry picking at the fruit farm, immerse yourself in history and go back in time almost 200 years to revive the days of the Gold Rush at the Sovereign Hill theme park and visit the amazing fauna and flora of Ballarat Wildlife Park. MORNINGTON PENINSULA ARTHUR'S SEAT, WINERIES and PENINSULA HOT SPRINGS - Enjoy the scenic drive to Mornington Peninsula and be amazed by the views of Arthur's seat Lookouts, have a wine tasting at a boutique winery, savour a delicious lunch with wine on a British style tavern and end your day relaxing in the thermal waters of Peninsula Hot Springs. PHILLIP ISLAND DO IT ALL - Seals Ecoboat Tours, Churchill Island Heritage Farm, Koala Conservation Centre and the amazing Penguin Parade. MELBOURNE CITY DAY TOUR - Start your day taking pictures of the colorful Brighton Bathing Boxes at Brighton Beach, drive through the traditional St Kilda suburb and the iconic Albert Park, location of the Australian Formula One Grand Prix. Visit one of Melbourne's amazing gardens and take pictures of its most sacred monument: the Shrine of Remembrance. Ride on a private boat tour through the Yarra River and finish your day taking the views from the tallest building in the Southern Hemisphere: the Eureka. 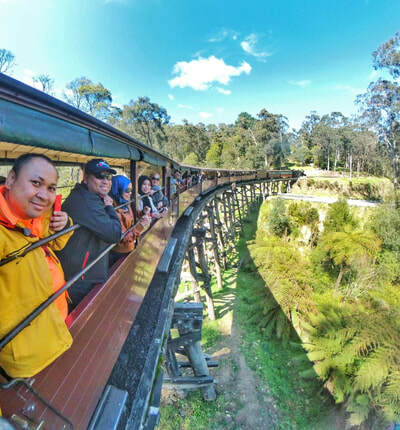 Get away from the crowds of the Melbourne CBD and experience the best Victoria has to offer with Hit the Road Tours! 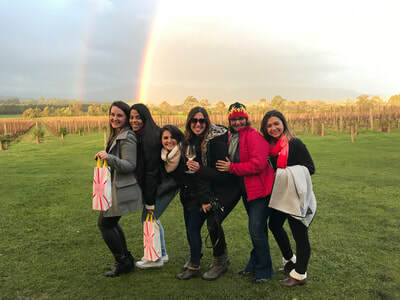 From soaking in the breathtaking views of the 12 Apostles on the Great Ocean Road, to private wine tastings at some of the Yarra Valley’s famous vineyards, our 1-day tours offer something for everyone at an affordable price. Enjoy the intimacy of a private tour for you and your friends and family, as our experienced, knowledgeable and good-humoured guides take you on an adventure that won’t be spoiled by huge crowds. For a day full of remarkable memories, book your Hit The Road tour today! We’ll take you out of Melbourne to drive along the tops of craggy cliffs and take in some of the most scenic coastline in the world on a private Great Ocean Road adventure. Our tour will take you and a small group straight to the 12 Apostles and arrive there before the large crowds. See the incredible Lorch Ard Gorge (just 3 minutes away from the 12 Apostles), London Bridge, Razorback and more, all formed by the churning blue waters of the Southern ocean and the Tasman sea. 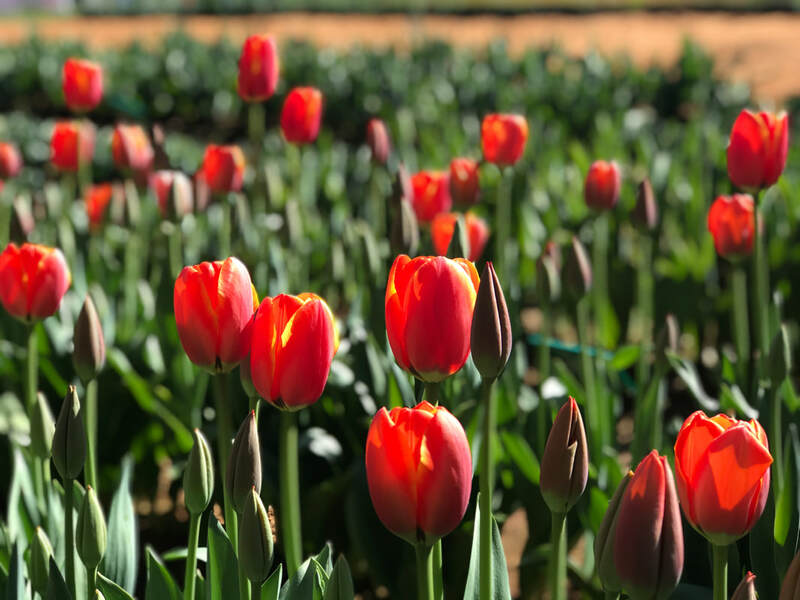 Take in the sights, smells, and most importantly, the tastes of the Yarra Valley wine region with a day trip that takes you shows you the decadence waiting just an hour outside of Melbourne. Visit and enjoy tastings with at least four boutique wineries, stop for a delicious picnic style lunch and even enjoy a tasting tour of the famous Yarra Valley Chocolaterie, all guided by one of our fun-loving and informed guides. You won’t believe how affordable this day trip is! Get up close to some of the most iconic creatures in Australia with this guided tour through one of Victoria’s most famous animal sanctuaries. 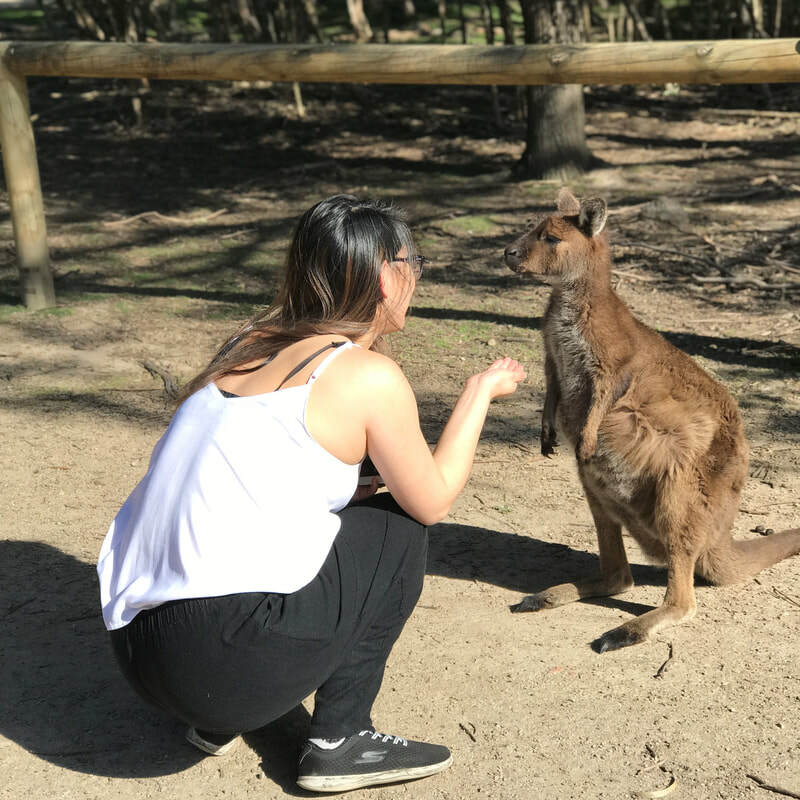 You’ll have the opportunity to learn more about the incredible wildlife of the area while feeding kangaroos and wallabies, and enjoy close encounters with emus, wombats, kolas and rare parrots. Finally, we’ll take you down to watch the fairy penguins come in from their fishing in the famous Penguin Parade. We also offer 1 day tours to see the best of the Mornington peninsula, and Snow Day adventures at Mount Buller every winter. As family run small business, Hit The Road Tours takes a lot of pride in preparing and planning a day that’s fun, interesting and intimate. To make a booking or find out more about any of our small group tours, call on +61 (0) 414 551 566 or email us at info@hittheroadtours.com.au. Entertainment kit: Free WiFi on board, USB port for chargers, Sunscreen during summer, Blankets during winter, Insect repellent, Hand sanitizer gel, fresh water. Just bring yourself! Good music, Good vibe, More attractions, More stops, More fun!